Nothing in Africa fascinates like big elephants—or, more precisely, big-tusked elephants. And nobody in the world knows big tuskers better than Tony Sanchez-Ariño. This book lists every known elephant with at least one tusk of 130 pounds or more and tells the stories of who hunted them, who owns them, or how they were found. It is based upon three years of research, utilizing information unearthed from the archives of countless libraries, museums, professional hunting organizations, and private collections. Amazingly, Sanchez-Ariño uncovered dozens of elephants not listed in Rowland Ward, some on public display, some hidden in private collections, and all of them massive. The stories are all here, often in great detail, accompanied by photos. For example, who actually shot the huge elephant entered twice in Rowland Ward with slightly different measurements that was shot in the same place and in the same year? Did you know it was an American adventurer in the C.A.R who shot what is likely one of the ten biggest bulls ever recorded? This happened in the early 1890s and it was never entered in any record book. Many of the stories Sanchez-Ariño found involve hunters who did not want to follow a track because it was too small—but when they did, they discovered small feet do not always indicate small tusks. Many of these elephants were so famous that they had names given to them by the locals, which added to their legendary status and lore. Tony Sanchez-Ariño and his research team followed up every “elephant track,” whether small or large, and recorded every elephant they could find that had at least one tusk over 130 pounds. Huge tuskers like these are now a thing of the past, but they march through the pages of this book in all their glory, brought back to life through entertaining text and stunning images. 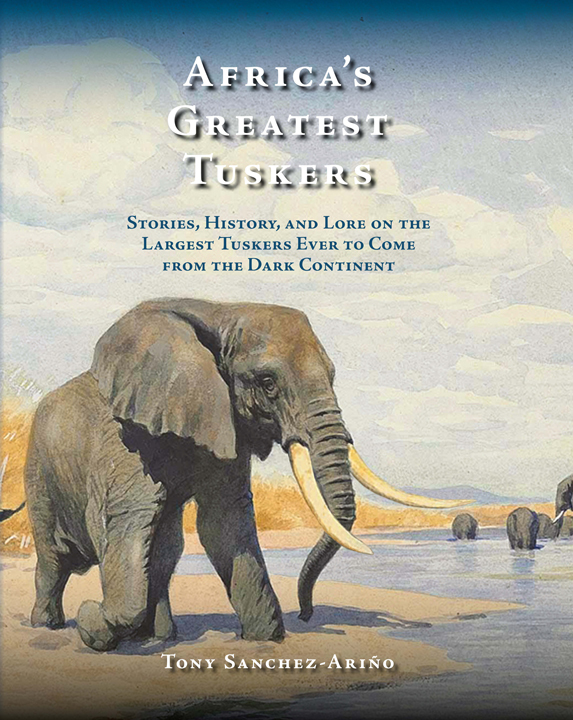 Submit your review for "Africa's Greatest Tuskers"